2, 3, 4 & 5 bedroom homes available with Help to Buy. Prices from £220,950. Discover North Nottinghamshire’s best kept secret: Rufford Pastures. Set amidst the idyllic surroundings of Sherwood Forest and the beautiful village of Edwinstowe. 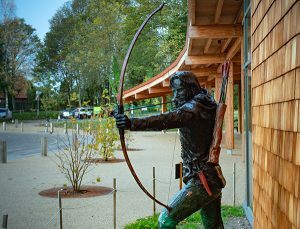 Combining the magic of the legend of Robin Hood and Maid Marion with stunning natural beauty and a thriving local community, this location is truly special.